Have you checked out Indigo’s Deals of the Week lately? If you haven’t you should, especially those who, like me, still would rather prefer the actual feel of a book, rather than reading a digital version! Now until March 16, 2016, you can save up 75% off over 1000’s of books, when you shop Indigo’s book sale online. Some titles are even 94% off! Prices shown online reflect sale price. Not a book person? Here’s another deal you might like. 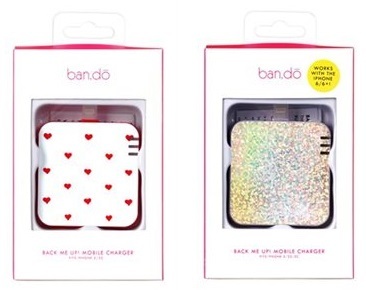 Shop Indigo’s Deals of the Week online, now until February 28, 2016, and you can get these Ban.Do Battery Packs for just $12.50 (50% off the regular price of $25). These batter packs can fit iphone 5/5s/5c/6/6 plus, harges with a USB 2.0 connection lightning to USB, charges up to 80% power, has a 8-pin lightning port, and includes a charging cable. Indigo Chapters Canada offers FREE shipping on orders over $25. Click here to shop Indigo Chapters Canada Deals of the Week.